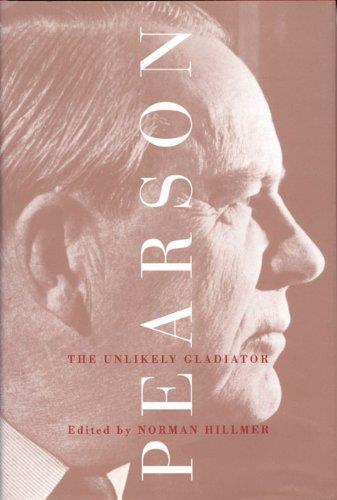 In this collection of essays marking the centenary of Pearson's birth, eighteen leading academics, journalists, public servants, and politicians recreate and reassess Pearson's premiership from 1963 to 1968. Robert Bothwell (Toronto) introduces Pearson the man and Denis Stairs (Dalhousie) presents his political ideas. Governor General award-winning author and journalist Christina McCall and J.L. Granatstein (Canadian Institute of International Affairs) compare Pearson and his nemesis, John Diefenbaker. Stephen Azzi (House of Commons) and Greg Donaghy (Department of Foreign Affairs) write respectively about the prime minister's relations with Walter Gordon and Paul Martin Sr. Tom Kent (Queen's) and Penny Bryden (Mount Allison) discuss the Pearson welfare state, while Claude Ryan, editor of Le Devoir in the 1960s, and Michael Behiels (Ottawa) debate national unity. Patrick Brennan (Calgary) looks at the media. Monique Bégin (Ottawa), Andrew Cohen (Globe and Mail), Blair Neatby (Carleton), and former public servants Ross Campbell, Al Johnson, Geoffrey Pearson, and Gordon Robertson gauge the scope of Pearson's legacy. The collection also includes an introduction by the editor and a foreword by Prime Minister Jean Chrétien.